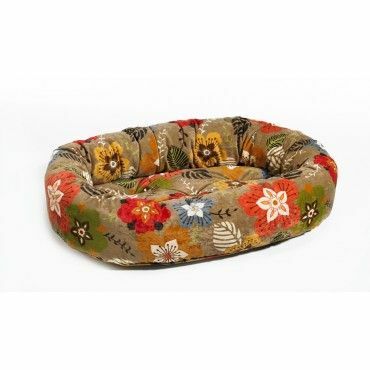 The Donut Bed with garden print is a super comfortable pet bed made from microvelvet. 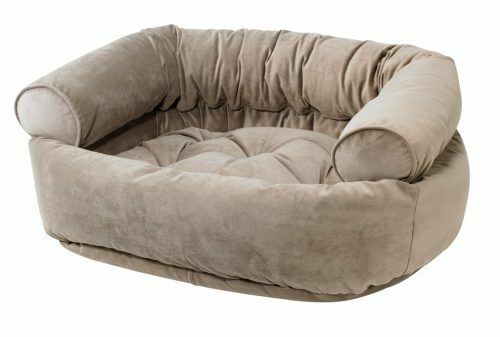 An oval outer ring offers your pets a sense of security that most pets love. 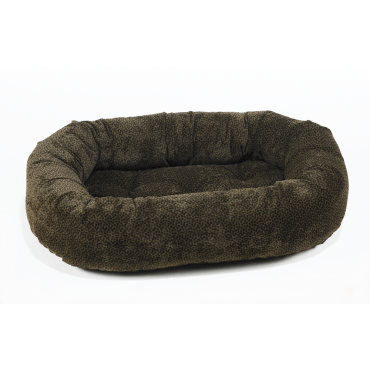 The removable tufted cushion serves dual function as a crate or travel mat. 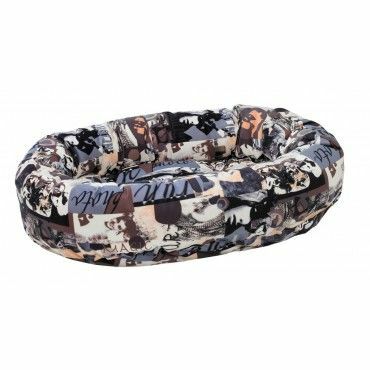 The circular tufting creates an elegant upholstered look and prevents clumping or shifting of the fiber filling. 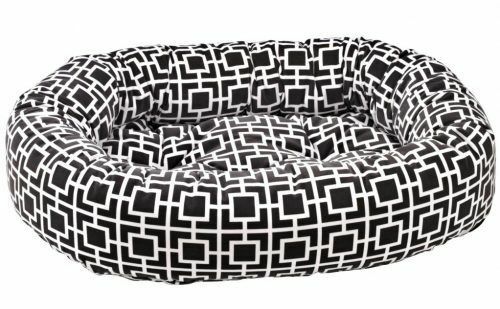 The donut bed comes in six different sizes to choose from, depending on the size of your pet.